This time the spotlight is on Tradition Stained Glasses. They have been an Alsco customer for over 19 years and have been using Alsco’s paper towel dispensers. It’s effective for any workplace. Tradition Stained Glass is a 4th generation family business which originated in Holland in 1908. Kim’s grandfather migrated to Perth in 1952 and was seeking a sea change after World War II for his family. Our business is founded on solid traditional manufacturing techniques and family values, hence our customer service is friendly and genuine. We specialise in authentic stained glass practices for commercial works such as government buildings (i.e. WA Parliament), churches and residential homes throughout WA. Our new fused architectural glass range for illuminated alfresco wall art and outdoor water features is proving to be very popular for contemporary homes. We always strive for “Excellence in craftsmanship and creativity”. Find out how this creative family boost into becoming creators of world class glass masterpieces. 1. What is Tradition Stained Glasses most famous for and why? 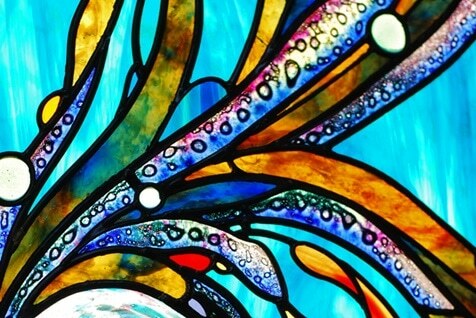 We are known and well-respected for our authentic stained glass skills and unique creative art glass works for private homes and commercial projects. 2. What’s a crazy/awesome day like in your company? A crazy/awesome day for me is when I am engrossed in a detailed artistic project where I am able to concentrate on being an artist and let my creative juices flow unimpeded. 3. Who do you look up to as your greatest business inspiration? I have always looked up to my ancestors and used their determination to succeed in business through much tougher times than I have ever known. My family have been making stained glass for over 110 years spanning 3 generation through depressions and wars. 4. What does working ‘on’ Tradition Stained Glasses mean to you? Work on the business means to improve our efficiency, looking for new marketing strategies and to keep evolving with the changing times. 5. What’s your top secret marketing tip that you can share with newbies? Top marketing tip – utilise marketing strategies on the internet such as Google Adwords, Video, Facebook and blogs. The key is to keep updating as much as possible as new content is essential to decent rankings. 6. What are the hardest challenges you face when owning your own business? Some of the hardest challenges are maintaining market share, remaining competitive and adapting to changing markets in a slowing economy. 7. Do you have a funny story to share about one of your experiences Tradition Stained Glasses? I remember one time we had a hand-painted kookaburra stained glass window hanging in our workshop and during one morning a real kookaburra took a fancy to our girl and began eyeing her off from a wrought iron door near our roller door. I think that when he got no response after his courtship rituals he couldn’t stand it anymore as he flew into the workshop and began scratching and pecking at the window. Once he saw that there was no reaction he got the hint. It did prove that our hand-painted techniques fooled even nature. 8. Is there something unusual you want people to know about Tradition Stained Glasses? People may not know that Kim Fitzpatrick runs exhibitions of his latest art works in glass mainly in the Margaret River region. His works range from wild and funky illuminated surfboards to amazing wall mounted art glass pieces. He sells his work to clients around the world and nationally. Just recently he sold a special pieces to the National Gallery in Canberra. 9. Do you have an amusing experience with an Alsco rep? Nothing to amusing really, we always have a friendly chat with Alsco’s reps and their service is always excellent. 10. If Alsco is to offer your business a 1 year full service of one of our products, what would it be? And why do you like it best? We would love a year’s full service with a wall-mounted towel dispenser. We find this is a brilliant way to keep our staff hygienically clean and we prefer this over messy paper towels. Also offers a range cost effective solutions with variety of solutions to suit every organization’s needs, keeping workplaces healthier, safer and greener. Want to partner with Alsco too? Call us 1300 659 892 now. Tradition Stained Glass started as early as 1908. It’s located in O’Connor, Western Australia 6163. 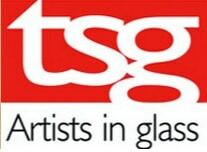 Visit their gallery of glass artworks in www.traditionstainedglass.com.au.